Isle of Wight Day has come to a close and what a day it has been. Time for us to reflect upon the celebrations and our involvement in this unique celebration. Brightbulb Design were chosen by Robin Courage MBE, High Sheriff of the Isle of Wight, at the end of last year to create some branding for his Isle of Wight Day idea. The branding needed to infuse the public with excitement and a sense of celebration. After various iterations we concluded on the ‘bunting’ concept, which has become the prominent, consistent theme throughout all the celebrations on the island, and thus, Isle of Wight Day was born. Brightbulb then turned attention to the Isle of Wight Day marketing materials that would continue the theme and add to the spectacle. 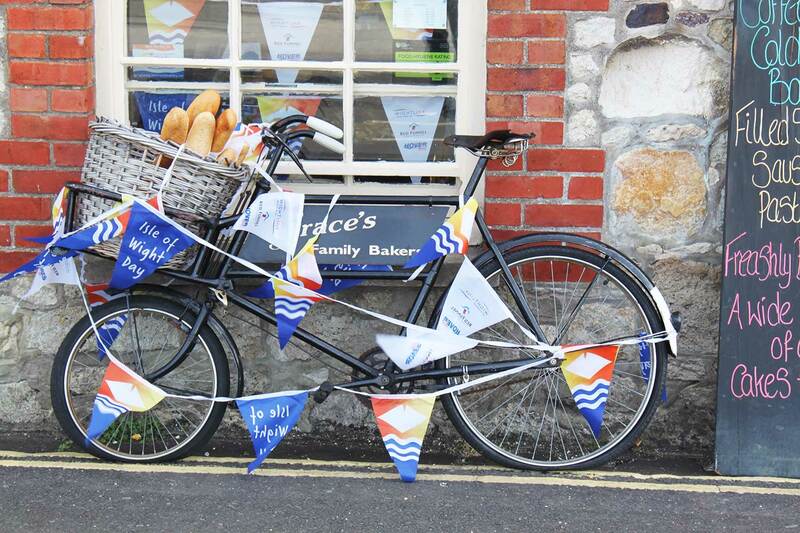 We created a bunting design which was printed into 80 miles of colourful bunting thanks to our island ferry companies, Wightlink, Hovertravel and Red Funnel. 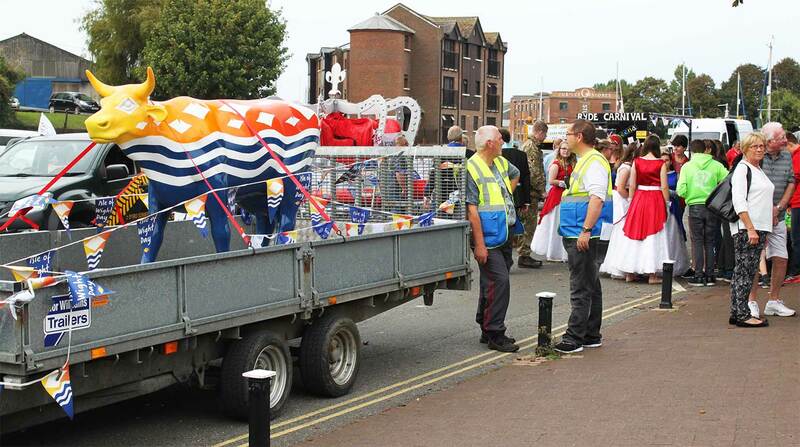 The bunting was distributed to the public and businesses to cover the island with a celebratory glow of Isle of Wight pride. 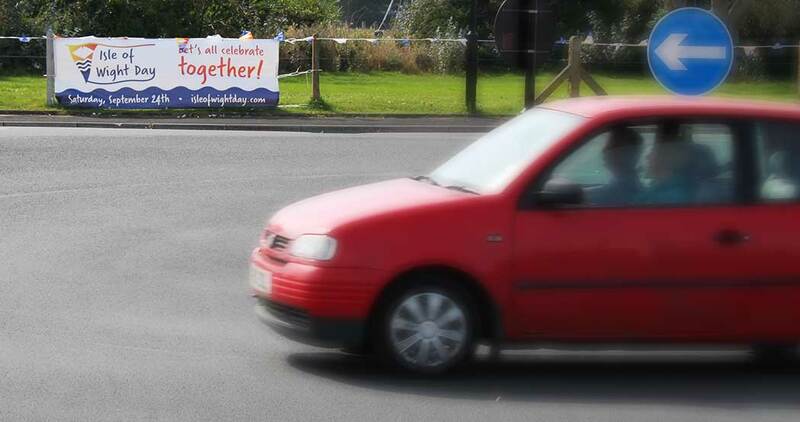 The bunting was so popular that we actually ran out all together. We continued the theme with the design of Isle of Wight Day bunting lapel pin badges, printed by a fantastic company called Badgebase, based in Kent and sold through retail outlets such as Tesco, Morrisions, Waitrose, Marks and Spencers and other local outlets. All money from the badges would go to the High Sheriff fund to help local causes on the Island. Brightbulb design then set about creating car stickers, web icons for businesses websites, car flags and huge banners to promote the day further across the Island. We designed yacht flags, sponsored by Vessels Value, whom made a great effort for the day, putting on the island yacht race from Yarmouth to Bembridge and flying the large yacht flags that we created. And then came the cow. 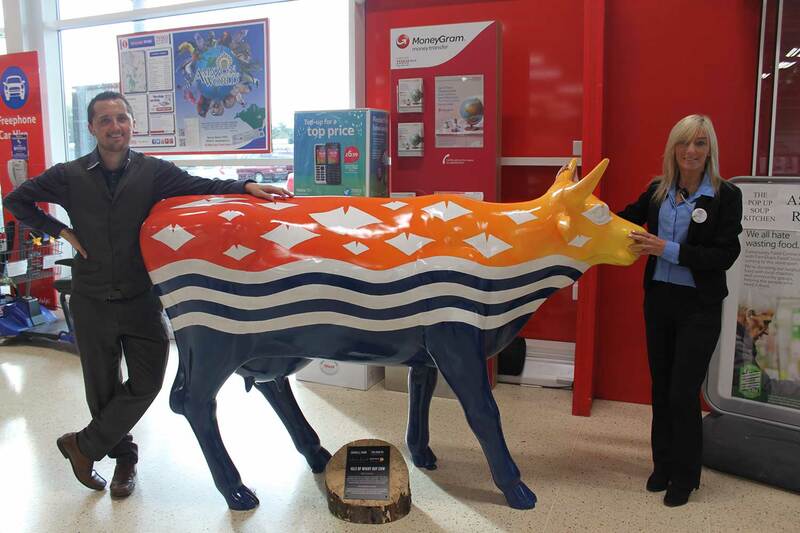 Yes, that’s right we even designed a cow for Isle of Wight Day. Although that sounds like it is outside of our call of duty, in this case the cow we are referring to, is a Tapnell Farm / Cow Co art cow and now the newest member of the prestigious Wight Herd. Great thanks goes to Tapnell Farm and The Cow Co for supplying a full size fiberglass cow and to James Lord Art and Design for bringing our design to life on the cow with paint and brush, made especially difficult by the yellow to red gradient we have used throughout the branding and on the cow. The results of the cow, I think you would agree, were marvellous and created quite the buzz amongst the public at the entrance to Tesco and as it toured the Island in the lead up to the grand parade which it also attended. In fact, we think it may well be one of the most well toured cows of all of Tapnell’s Wight Herd, or at least up there with Bestival’s ‘Glitter Bull’ (or ‘Besti Bull’ as we fondly call it) and the Isle of Wight Festivals ‘Festival Time’ cow that both have similar outings year on year. And so the grand parade, the highlight of the Isle of Wight Day proceedings brought many of the elements Brightbulb Design had crafted together in one tremendous flurry of colour, supported by our fantastic island residents, businesses, adults, kids and even dogs alike. 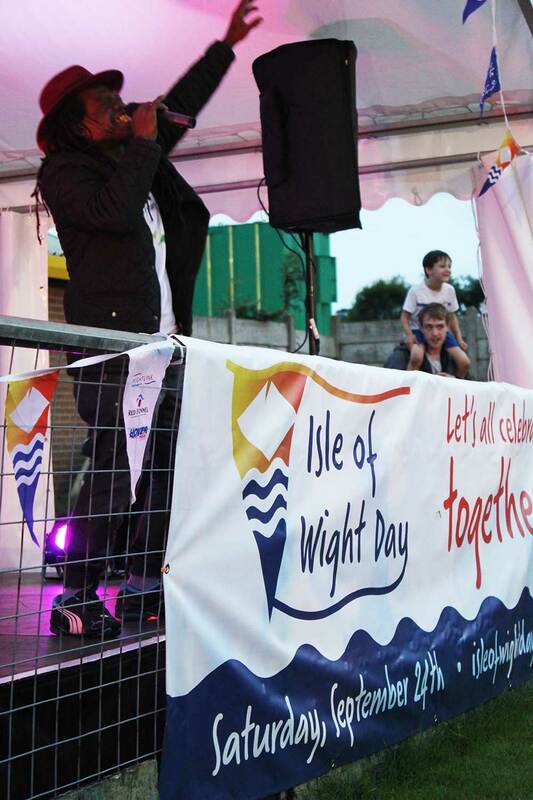 The biggest thanks as Robin Courage stated at his Parade Finale speech must go to all the islanders that supported this first Isle of Wight Day and took pride in flying the flag for the Isle of Wight. We may be little, but we are BRIGHT! We are the one and only, Isle of Wight! What’s it like working at Brightbulb Design?